Good facilities.Properry has play area for children and few activities for adults. Where to find Gilze hotels near an airport? Where can I find hotels in Gilze that are near tourist attractions? For those travelers searching for accommodations near Gilze, there are a few places from which to choose. About 3 Expedia-listed accommodations are within a 0.1-kilometre (0.06-mile) radius of Gilze's center. 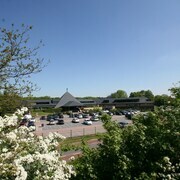 One of only a small number of hotels within walking distance to the center of Gilze, is the Van der Valk Hotel Gilze -Tilburg. 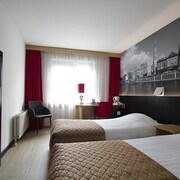 12 kilometres (8 miles) from the middle of Gilze, is the Bliss Hotel. The Fletcher Hotel-Restaurant Trivium is located 19 kilometres (12 miles) away. 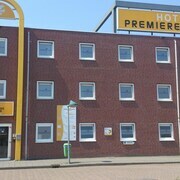 More hotel and apartment options in the Gilze area include the Golden Tulip Keyser Breda and the Priorij Corsendonk. Consider spending some time visiting Stedelijk Museum and St. John's Cathedral, in 's-Hertogenbosch, 30 kilometres (20 miles) to the northeast of Gilze. 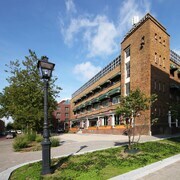 Expedia-listed 's-Hertogenbosch accommodation options are the Golden Tulip Hotel Central and Movenpick Hotel - Hertogenbosch. 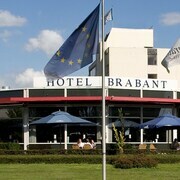 Alternatively, you could consider staying at Molenschot, 4 kilometres (3 miles) to the northwest of Gilze, where you can pick from the Campanile Hotel Breda and Premiere Classe Breda. The Kids Wonderland and Princenbosch Golfclub are a couple of the most popular places to experience for those visiting Molenschot. Just because you're on vacation, doesn't mean you can't enjoy your obsession for sports. Amsterdam ArenA is situated 85 kilometres (54 miles) to the north of Gilze. Sports fans wanting to find a room or apartment close to the action can choose from the Stadhouderskade Apartment or the Hotel Notting Hill. Located 35 kilometres (21 miles) away from Gilze is Eindhoven Airport. 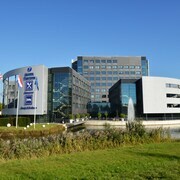 Stay nearby at Novotel Eindhoven or NH Best. What are the most popular Gilze hotels? Are there hotels in other cities near Gilze? What other types of accommodations are available in Gilze? Explore Gilze with Expedia.ca’s Travel Guides to find the best flights, cars, holiday packages and more!